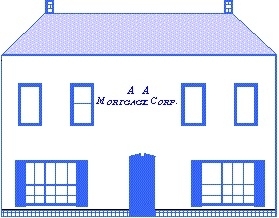 A A Mortgage Corp. offers secure online mortgage loans in Ballwin, MO. To assist you in your mortgage process, we have provided certain forms you might need along the way. Included is obviously the Mortgage Application Form which you can download and print. The application should be completed with the assistance of a mortgage professional. You will need a browser compatible with PDF files or you will need to download Adobe Acrobat Reader to view and print PDF files on all major computer platforms. Start a new digital loan application with A A Mortgage Corp.